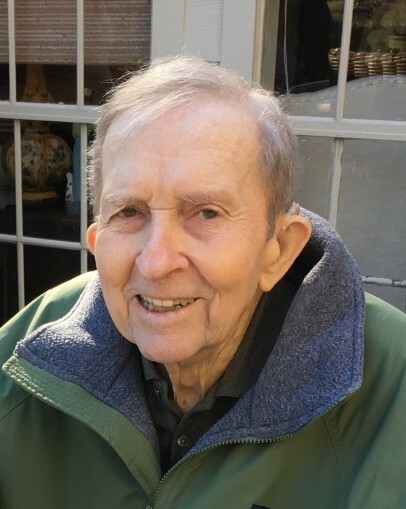 Jerome Russell Blackstone, (Jerry) age 91, died Wednesday, January 23, 2019, peacefully at home in Beaumont. He was born October 28, 1927, in Chicago, Illinois, to Frank Russell and Suzanne Lund Blackstone, who preceded him in death, as well as his brother Gregg, his infant granddaughter, Monica, his in-laws John and Mamie Cain Abshier, and Buzz, Candy and Mike Abshier. Also preceding Jerry was his precious cat, Floofy Underfoot. Miss Maggie, the present cat was his constant companion and with him when he died. Jerry is survived by his wife of 44 years, Ann Abshier, and his children: three sons, Chris Blackstone and wife, Julia Shaw of Wilmington, Delaware; Craig Blackstone of Gibsonia, Pennsylvania; Russell Blackstone and wife, Theresa of Buffalo, New York; three daughters, Sue Blackstone and partner, Vicki Nelson of Pell Lake, Wisconsin; Karen Blackstone of Excelsior, Minnesota; and Mary McCosh of Adelaide, Australia; alao his sister-in-law, Loy Abshier of Thicket, Texas. Jerry leaves 10 grandchildren as well as his special families, Jesse Sanchez and Maria Nieto of Smith Point, and their four children; Krin and Joel Koehler’s family of Beaumont, Houston and Wimberly, Texas; and good friend, Toni Clark of Beaumont.